✓ Powerful analytics so you can spot trends and track growth. ✓ Automatically bring data from student systems into our Data Warehouse. ✓ Customized dashboards to meet your needs. ✓ Get summary emails to always stay up to date. Helps you and your operations team find and fix incomplete, unreliable and unidentified data points. Builds trust with your data. Proactively monitor for 100% accurate information. Provides overview of your district. Track progress on your strategic plan. 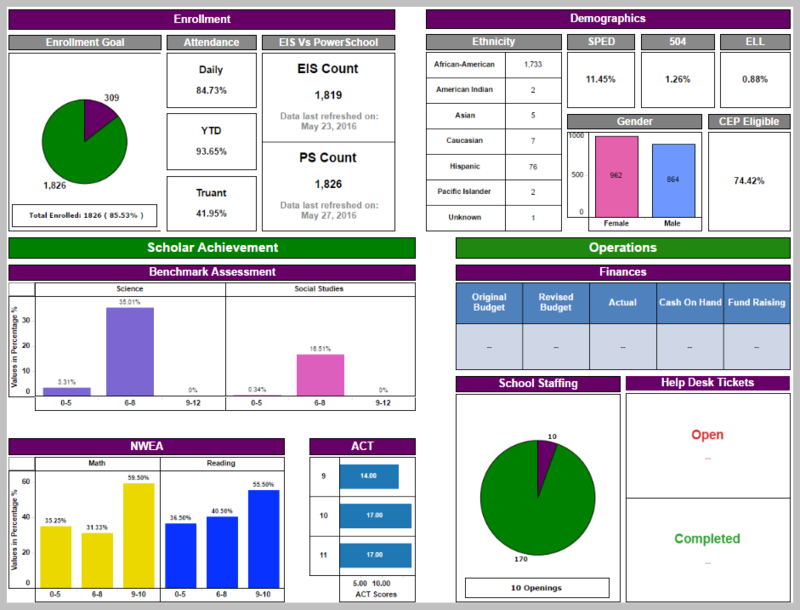 Monitor and improve performance on your state accountability system. Share progress with your team, school board and community. Know where your student lives. Use google maps to know your students neighborhood. 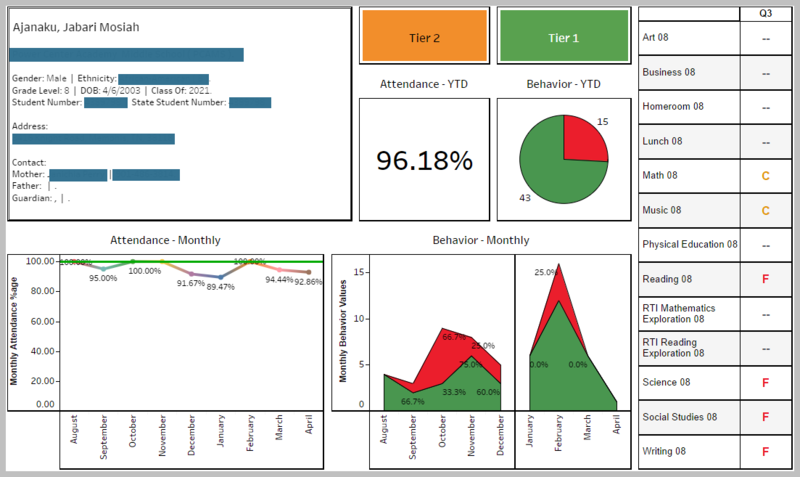 Evaluate your attendance rates across the year with historical data. 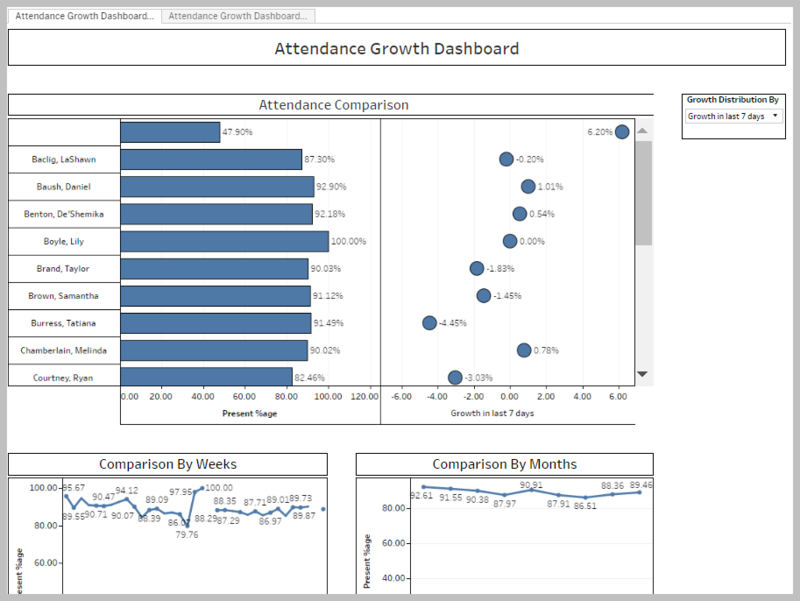 Track attendance growth rate per homeroom and grade level. See when absences are the highest and develop targeted strategies to increase attendance during these periods of the school year. Designed to get a drill down distribution of grades. Find out exactly where students are underperforming. Help you save time and better understand your grades data. Proactively work with low performing students. Assess averages across schools, demographics, and home room. Instant snapshot of student grades, attendance, behavior and test scores.